Our school, a larger than average primary school located in the west of Huddersfield, had been reflecting on how we give feedback to pupils in light of the independent review group report on marking and reducing teacher workload; the methodology advocated by the interim teacher assessment framework and the opportunities afforded to schools since the removal of levels. We only change our practice when we are sure the evidence shows that it will benefit our pupils and enhance the way we work; we therefore found the content and advice in the Marking Policy Review Group’s report very helpful. Our staff particularly picked up on the need for marking practice to be manageable, meaningful and motivating. 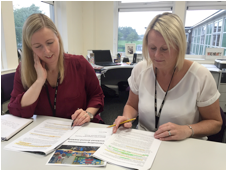 We decided to use the report to review our assessment policy and see whether there were areas we could improve upon. We have a very clear process for reviewing our policies that involves all staff and governors. Our first step on this occasion was to issue the review group reports to the senior leadership team, asking them to highlight key areas that might improve our working practice. Our SLT looked at all three reports together as they each contain elements relevant to assessment. The reports were then discussed at one of our regular staff team meetings and an agreement was reached on the areas of work we needed to change. The redrafted assessment policy was then shared with all staff and discussed by each year group team and subject coordinators. As a three-form entry school, it is imperative that we have a coherent approach not only within a year group, but from one year to the next. We listened to and acted on the feedback from staff. When all staff had been consulted and their views considered, our deputy head produced the final draft, which was presented to the Governing body for final approval. The Marking Group report gave us the courage to change our marking policy, including making it part of our assessment policy rather than being standalone. We previously had huge success with ‘deep marking’ as a way of focusing on a particular aspect of the curriculum. This was because we had been concerned about pupil progress and used written feedback and pupils’ responses as a way of focusing attention and embedding good practice. However, over time this marking method became more extensive creating an unnecessary burden on staff and losing the initial impact. So we took the advice from the report into marking and teacher workload and simply stopped doing it. Another change is the use of Key Performance Indicators (KPIs) - using these to assess, set pupil targets and inform parents of expectations. Using the same system for all ensures good understanding and knowledge of our system. 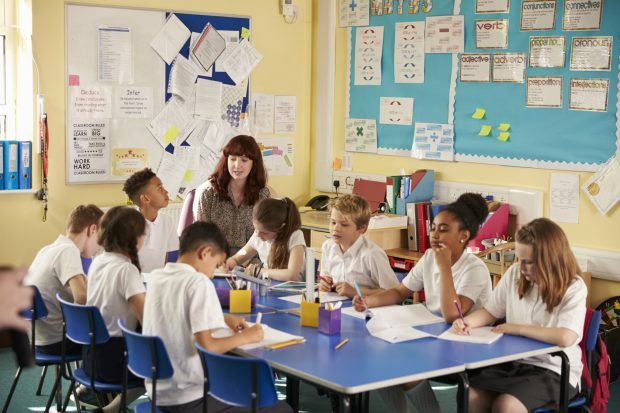 Pupil progress meetings are also very effective in identifying those children who may not reach the expected standard enabling appropriate interventions to be put in place. Time is given to staff to get ready for these meetings and these meetings are always held during the school day (supply cover is booked in). Our data management system has been simplified and links directly to the KPIs which link directly to the curriculum. The whole system is more streamlined, practical and effective. Like many other head teachers, I am convinced that feedback to pupils on their work is crucial. But stopping our deep marking didn’t mean the end of feedback. We have given teachers more say in how and when they mark, as we now don't expect in depth marking on every piece of work. Teachers use their professional judgement as to whether a written comment is needed or if verbal feedback would be more effective. It’s also acceptable to just say ‘well done, keep going’. If we spot a misconception in a pupil’s work we act on it straight away, but each teacher will decide the best way of giving feedback. At Reinwood, we find it really helpful to present and discuss pupils’ work frequently at our year group and senior leadership team meetings. The level of professional dialogue is high, focusing on pupil progress. We also devote management time to observing lessons, looking in detail at children’s work and importantly spending time talking to and listening to our pupils about their work. Pupils are the first to acknowledge helpful feedback from their teachers in whatever form they receive it. To help embed this we developed clear expectations of the standard of work we expect of our pupils. We have produced standards files for each year group that use our agreed KPIs, sharing and testing our expectations with other schools. Sharing good practice has become second nature for us, be it within the school, with schools in our locality or more widely. My view is very clear: any policy has to work for staff in terms of being fit for purpose and manageable, but most of all it has to acknowledge their professionalism and give them the room to take what they believe to be the most appropriate course of action on a daily basis. Our new assessment policy came into effect at the start of this academic year. The policy is already paying dividends - for example, unnecessary effort like recording verbal feedback in writing has been consigned to the past. We hope that the new assessment policy will continue to remove unnecessary workload for our teachers. We hope to share with you the benefits our new policy will have had for staff and students by the end of its first year in use. I often feel torn between marking for pupils, and marking for evidence. Marking work provides an overview of the class outcomes and informs following lessons (Hansen, 2015). I agree with Komba (2015), however, that the implications of teachers’ feedback must be beneficial to pupil learning. There are many other forms of feedback that work well. Interesting that Reinwood's actual policy requires teachers to mark work, students to respond to this marking, then teachers to check the students responses (and all marked in green pen). In what way is this not triple marking? The pllicy also requires stamps to prove verbal feedback given. I genuinely don't see how this policy does anything to lessen teacher workload or how it follows the recommendations of the working group. A few bits have been cherry picked, but the guts of the policy is still, "we want lots of different coloured written comments that pupils have responded to and we've then rechecked so that OFSTED can quickly and easily see how much marking we're doing". It just shows you that you can have as many working groups talking as much sense as you like, but senior leaders cannot change what they do or how proving things to OFSTED always comes before benefit to pupils through truly effective teaching.